A few of you might be aware that I’m doing NaNoWriMo this year — it’s my 6th year & 5th win (I passed 50K on the 25th). I haven’t titled this year’s novel yet, but in the inevitability of being an artist writing about the same thing every day, I decided to do a sketch of my main character, Alexander Benedict. Since I was drawing him as procrastination for actual writing, he’s in the client meeting notebook I use, which is a proper sketchbook that got wet at some point in its life and has warped pages — perfect for taking notes in, not so great for art I want to scan and/or keep later. Oops. 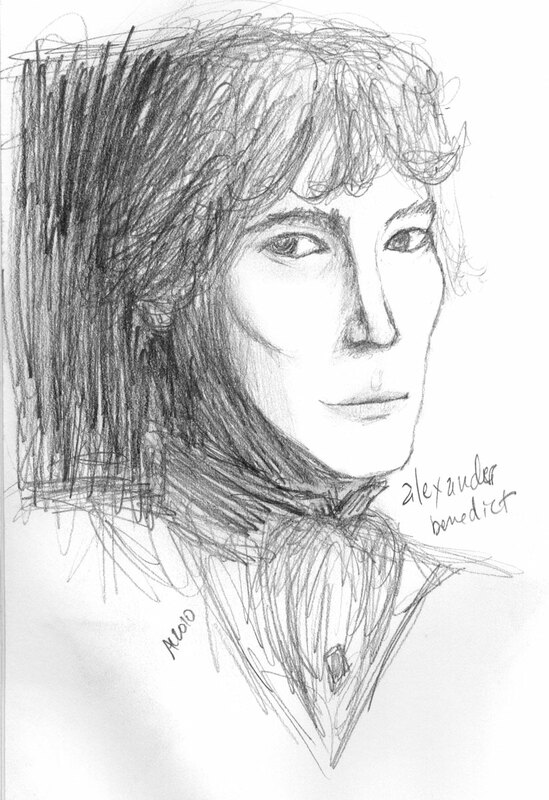 Alex Benedict, 4″x7″ pencil on sketchbook paper, not for sale.